The basic level of economic functioning is an individual. A man functions through a context of a family, and families are the basic consumers providing the working population and institute the non-working individuals within their reach by supplying to them the goods that are brought in or have to be shopped since production of all the consumer goods can’t be done within the domestic household system itself. By ways of implementing a strict benefit analysis the consumption expenditure in a period of time can be equal to the utility gained from the expenditure . Among the oranges and apples , oranges are more likely to be chosen because they hold an absolute over apples. If oranges and apples were marked the same price and provided equal satisfaction, it would make sense if you bought half of both. But, conversely, if satisfaction was more than the price, the consumer had a surplus. The paradox is that the price-utility ratio is always in favor of price over utility in real terms. It can be confirmed by a normal buyer like you or me that price rise are NOT in favor of utility. Arguments by common men just remain arguments with no direct effect. What has to change is the consumption behavior in relation to the product that is bought. To buy intelligently is to optimize utility over the price ratio. How to optimize utility? Is substitution the real answer? 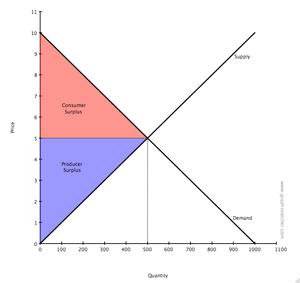 It makes a buyer a better yield if he did not mind about the usual rhetorical price-utility function but taking the course of determining the opportunity cost which is the benefit reaped by acquiring a certain item over the dis-benefit of acquiring the other in relation to the acquired benefit. That is if the benefit acquired by buying oranges is 1 then the benefit or dis-benefit is 1 – apples’ benefit (while benefit or the dis-benefit can be realized by the positive or the negative integer). Going by price and utility terms certainly puts us at a disadvantage as the price is always turned against the consumer and consumer surplus is a rarity altogether in the real market conditions. Allowing the decisions to be mended by application of opportunity costs ( gains made against the loss of another) or marginal rate of substitution ( maximizing consumption by substituting commodities yet maintaining the same utility) gets us the better gains of our incomes. The whole point of this topic is reconstruct, to make the buyers analyse more variables that affect their consumption patterns rather than the traditional price utility ratios.